Novare Events property, The Biltmore Ballrooms, is one of Atlanta’s premier event venues and has been a focal point of business and social life for close to a century. Extending an entire city block on West Peachtree Street, the recently renovated Biltmore exterior has a beautiful Georgian style façade. Inside guests enjoy Tennessee marble floors and crystal chandeliers – restored bringing the venue to it’s original grandeur before what was once the Biltmore Hotel closed its doors in 1982. The Biltmore is now used for Class A office space, retail and special event space but is considered to be an important part of Atlanta’s history during the 20th century. Built in 1924, The Biltmore Hotel was considered “The South’s Supreme Hotel” and the epicenter for the social elite in the city. During this time, famous visitors to The Biltmore Hotel included luminaries such as William Randolph Hearst, Charles Lindbergh, Betty Davis, Bob Hope, President Roosevelt and President Eisenhower. The Biltmore Hotel hosted a wide variety of events at this time, including, galas, wedding receptions, civic meetings and local political fundraisers. Over the years the venue has also the setting for Hollywood featured films like Driving Miss Daisy, Love Potion #9 and 42 – The Jackie Robinson Story. The widely recognized radio tower that sits atop of the building was installed in 1925 and was home for WSB Radio for some time. The Biltmore Ballrooms is an incredible venue –home to two of Atlanta’s most spectacular European style ballrooms, The Georgian and Imperial. The venue is perfect for corporate meetings and celebrations, weddings and social events and non-profit activities. It offers event attendees a uniquely elegant experience that guests just won’t forget. 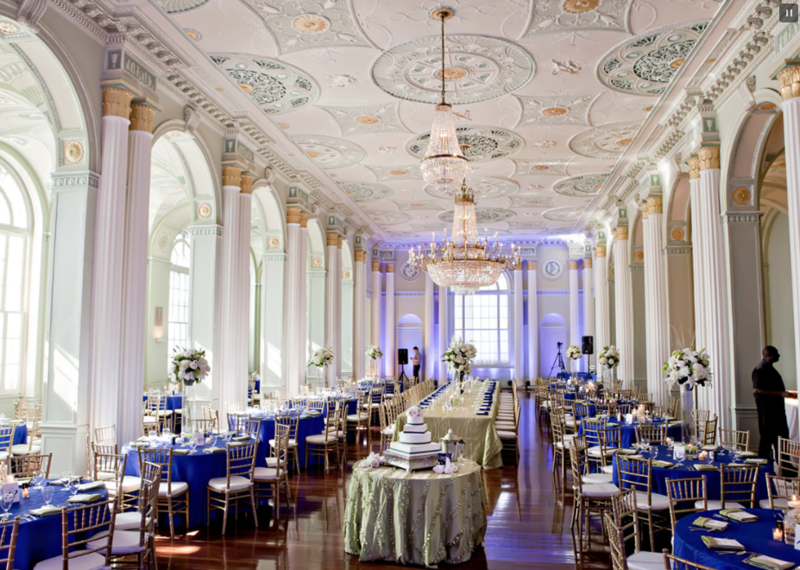 Each ballroom features; hardwood floors, hand-crafted plaster ceilings, Palladian windows and sparkling pristine chandeliers. The venue space can hold up to 1,500 guests and has ample parking that is convenient for those driving. The ballrooms are ideal venue space and offer your guest an elegant environment with regal charm. To learn more about our various rental rates and packages visit us online at Biltmore Ballrooms. To schedule a tour connect with our Events team by email or phone.